Dr Jengo's World: Heists finally coming to GTA Online! Heists finally coming to GTA Online! 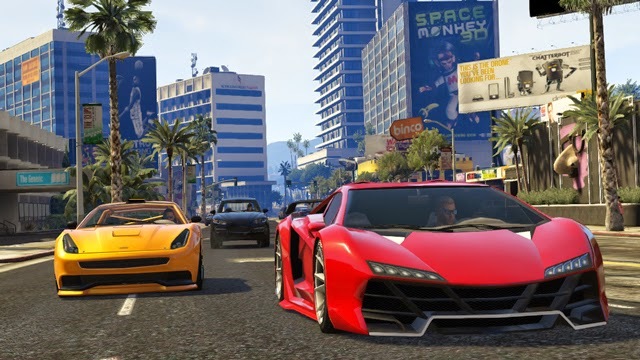 We are finally getting some updates for GTA Online! Here are some of the updates we will get to see. The High Life Update - A new weapon, more wardrobe choices, a new bike and 3 new cars will be added into the game. A well as Multiple-property ownership! For those who can't restrict themselves to a few rides, you will now have the option to own 2 Properties with Garages at any time. Heists - Yes Heists. It's finally coming. Still no exact date... so it's been coming since last year. Rockstar have also promised new Story DLC and more holiday-themed updates for this year. There's no doubt Rockstar still has plans to keep adding content into the game but I feel the long delay for heists has made lot of players leave. A lot of these players are also replacing their current consoles with next-gen ones so it's a bit worrying.. Anyway, I got no plans to replace my console anytime soon. Even if I do get a PS4, I will still be leaving my PS3 connected so I can game on that anytime. Any Singapore GTA Online gamers, feel free to check out my Singapore crew, Temasek Thugs. WatchDogs' Season Pass DLCs Revealed! Co-op Multiplayer coming to Assassin's Creed? Borderlands 2 Prequel in the Works? Got featured on NECA's Fan Creations! Here comes a Connor Premium Statue!